Our Lock-Out Tags are made of .055" thick white polyethylene which will not tear, scratch, or get brittle with age. 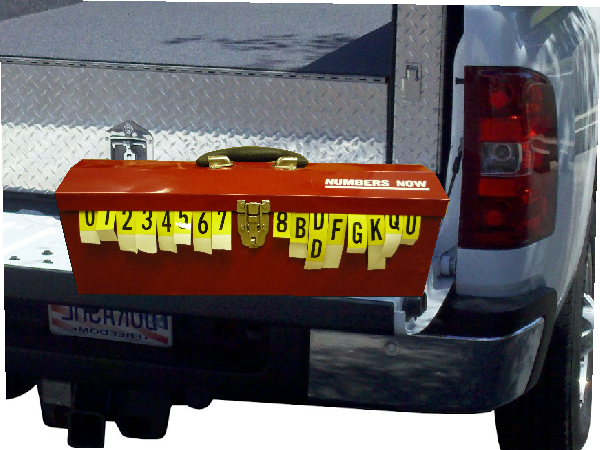 These tags can be thrown into a toolbox and take any abuse without being damaged. You can use plastic or metal ties without fear of tearing the tag. Two sizes are available. They are printed with the most durable screen process printing. We use the highest quality exterior solvent inks for the longest outdoor life. Area provided at bottom for marking custom location, lockout dates or special instructions with permanent marker or removable grease pencil. These tags are so durable, they should never have to be replaced and can be used over an over again. CUSTOM LOCK-OUT TAGS AVAILABLE IN QUANTITIES 500 AND ABOVE AT NO ADDITIONAL COST.